Frame made of Round Tube. These are used in transportation of portable & Large oxygen cylinders. The complete trolley is mounted on metal sheet along with 2 castors of 10cms. This is made of Mild Steel & Pre Treated Epoxy Powder Coated. 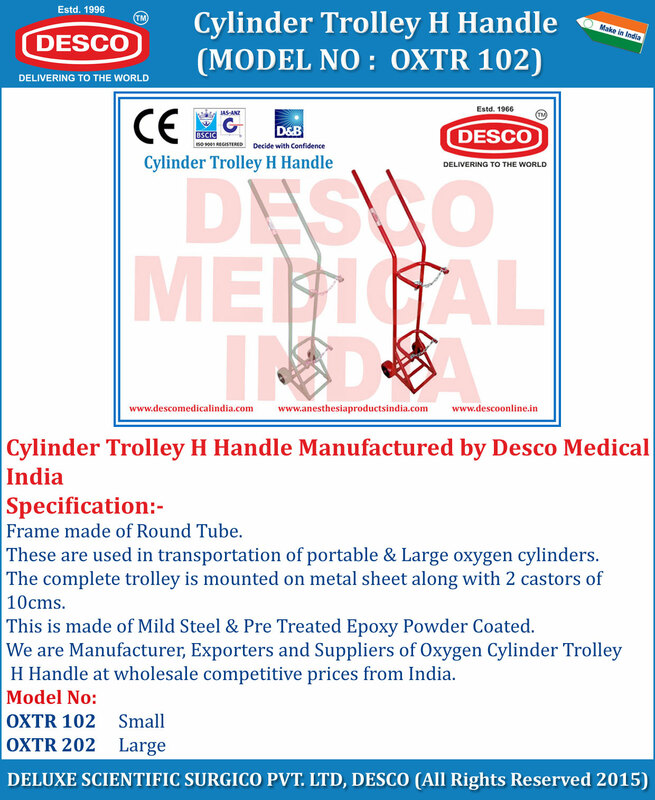 We are Manufacturer, Exporters and Suppliers of Oxygen Cylinder Trolley H Handle at wholesale competitive prices from India.